The primary goal of the Metabolomics Center is to identify and quantify small molecules (metabolites) from various resources including but not limited to plants, animals, and human (BSL1) being. 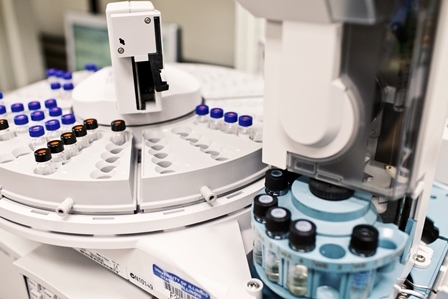 Multiple complementary analytical methods based on mass spectrometry, primarily GC/MS and LC/MS which are funded through the generosity of the Roy J. Carver Charitable Trust (http://www.carvertrust.org/) and National Center for Research Resources (www.ncrr.nih.gov), are utilized.